Join Har HaShem and Bonai Shalom for a No Shushing Havdalah Ceremony this Shabbat, 2/22/14, at 7:00 pm in Har HaShem’s South Building, behind 3750 Baseline. Attending services can be a challenge for some people and families. Maybe you or a family member needs to move around a bit or make a little noise. Or maybe someone in your family has a special need or a disability. We will have an interpreter for participants with a hearing impairment and we’ll all learn to sign one of the Havdalah prayers. You and your loved ones can enjoy this No-Shushing Havdalah together in a welcoming and relaxed atmosphere. What is Havdalah? Havdalah is a beautiful way to gently usher out Shabbat, separating it from the rest of the week. It involves all the senses. Storytelling – music – spices to smell – candlelight – juice and space to move around. 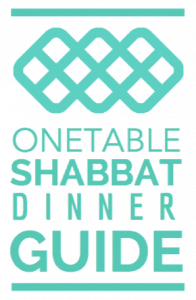 After the short service, led by Rabbis Rose and Soloway, we’ll learn two Israeli dances and then there will be time to enjoy some snacks (including gluten & dairy-free selections) and connect with others. This community-wide service is for all ages – everyone is welcome. If you have questions, please contact Rachel Gehr by emailing faye1964@yahoo.com or Judy Megibow at judy@megibow.com.